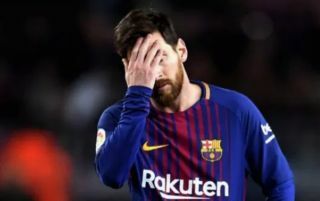 Lionel Messi has sent a warning to Barcelona manager Ernesto Valverde for the Spaniard’s choice of starting line-up for the Blaugrana’s win against Alaves on Saturday. 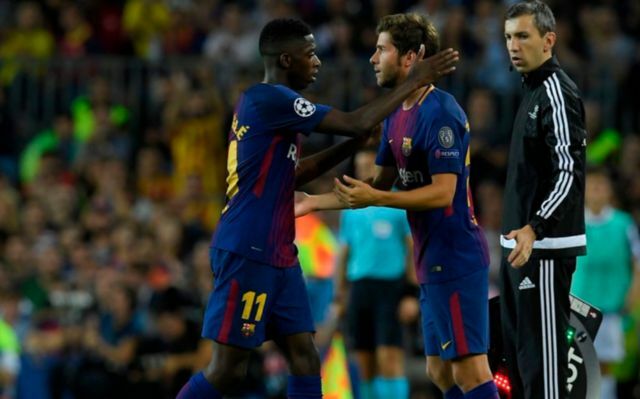 This is according to Diario Gol, who note that the Argentine wasn’t in favour of Sergi Roberto starting in midfield, or Ousmane Dembele starting alongside himself and Luis Suarez up top, with the Argentine telling Valverde “do not do it again”. This news is surprising to read considering just how well both Roberto and Dembele did in Barca’s trouncing of Alaves at the Nou Camp. Both Roberto and Dembele played well in the Blaugrana’s 3-0 win in their La Liga opener, with the duo rarely puting a foot wrong for Barca as Valverde’s men strode towards victory. Dembele was a constant threat down Barca’s left hand side, with the French international linking up well with Jordi Alba and Lionel Messi throughout the entire match. Robert was also impressive, with his range of passing and want to press being made abundantly clear straight from the get-go. It’s strange to see Messi complain about Valverde’s team selection, especially considering the Spaniard was often spot on with his starting XI picks throughout last season.